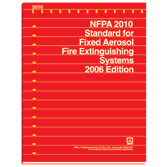 Only manufacturer recommended replacement parts should be used for any fire extinguisher requiring service and maintenance in San Diego, California. These recommended fire extinguisher replacement parts should have been evaluated and UL listed "Component Approved" as well as being the exact match of the recommended replacement parts by the manufacturer. 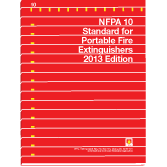 NFPA 10 Para. 4-1.4 – Maintenance, servicing and recharging shall be performed by persons having available the appropriate servicing manual (s), the proper types of tools, recharge materials, lubricants and manufacturer’s recommended replacement parts or parts listed for use in the extinguisher. This Tech Tip will describe the phrase “or parts listed for use” as it applies to elastomers (rubber parts). “Listing” requires what U/L refers to as “component approval.” To qualify for this, any part must be submitted by the parts manufacturer to U/L in an Amerex extinguisher and it must pass all required tests as part of that extinguisher, just as Amerex did initially. To our specific knowledge, we know of no elastomer ever approved by U/L as an equal – not because they may not be equal but because they have not been tested by U/L as required. Valve stem seals are absolutely critical and no other seal has ever been approved in an Amerex unit. Amerex urges you to carefully inspect o-rings and valve stems on all extinguishers you service and to perform complete maintenance procedures at each recharge. Most important of all is that you do nothing that will void the U/L label or the Amerex 6 year warranty. Elastomers (rubber parts) are a particularly sensitive area. Compounds vary from manufacturer to manufacturer and also vary from o-ring to o-ring from the same manufacturer. Just because an o-ring (or any other part) has been U/L component approved does not mean that it is approved in Amerex units. There are very good o-rings on the market but they must be matched to the exact application, the exact o-ring groove on the valve and the exact threaded collar configuration. Amerex o-rings have only a three thousands of an inch tolerance in diameter or cross-section (thickness). Add to this the special compounding for handling – 65° F (many are made to handle only – 40° F) and proper sealing of all our low pressure agents/cylinders and you have a special product. “Close” just isn’t good enough! Whenever and wherever you buy Amerex parts, insist on Amerex parts not “U/L component approved,” not “meets U/L requirements,” certainly not look alikes or counterfeit parts. This applies to nozzles, hose assemblies and all parts. To save a few cents in price or for a little convenience you can lose everything: U/L, the manufacturer’s warranty, a lawsuit and your business. “Close” may count in horseshoes but it also counts in hand grenades. from the field with evidence of total improper maintenance and recharge procedures. Improper parts, mixes of different manufacturers’ parts, labels, doctored U/L serial numbers, wrong or mix of chemical – you have all seen similar extinguishers in your shop (done by “competitors”). We are concerned just as you are. Policing begins at home. Don’t short-cut for expediency. Amerex will warranty only those parts that are listed by U/L and pre-tested by Amerex. Use of other parts will void all extinguisher warranties and more importantly, could cause loss of life or property.